Summer ends this weekend and with the arrival of fall, cooler temperatures are also in store. Before the winter of 1708-9, the region of France’s Loire Valley closest to the ocean, the Nantais, had a happy variety of wine grapes planted. That winter, however, proved to be the coldest Europe has seen in the last 500 years, killing every vine in the Nantais except for the plantings of Melon de Bourgogne, or melon. From that time, melon has been celebrated in the region and has become its signature grape. This week’s wine, Domaine du Bois-Malinge’s Sur Lie Muscadet Sèvre et Maine 2016 is a shining example. Tasting Note: Domaine du Bois-Malinge has a floral nose with citrus elements along with richer flavours than Muscadet normally shows. White grapefruit, lemon and light almond flavours layer over the palate with an added texture from the ‘Sur Lie’ aging, making it a bold example of the style. Enjoy With: Classically paired with oysters and other seafoods, this refreshing wine can also accompany salads and white meats extremely well. Try it with poached fish or chicken. Style: A dry, light-bodied and fresh white wine. Terroir / Region: Muscadet Sèvre et Maine is a region with a unique style which has become its signature and a key to its status on dinner tables worldwide. The ‘Sur Lie’ style is a choice to allow the yeast that ferments the melon grape’s juice to age with the wine over the winter following the winemaking season. This creates a richer style and adds light flavours of yeast, bread and even a barely felt bubble, making the wine lively and a great pairing with food. Producer: Domaine du Bois-Malinge is made by Gilbert Chon and his family, continuing its more than 300-year-old tradition of winemaking. The family’s Muscadet Sur Lie comes from 10 hectares of vineyards, and traditional forms of winemaking give the wine a special charm and perfect harmony. 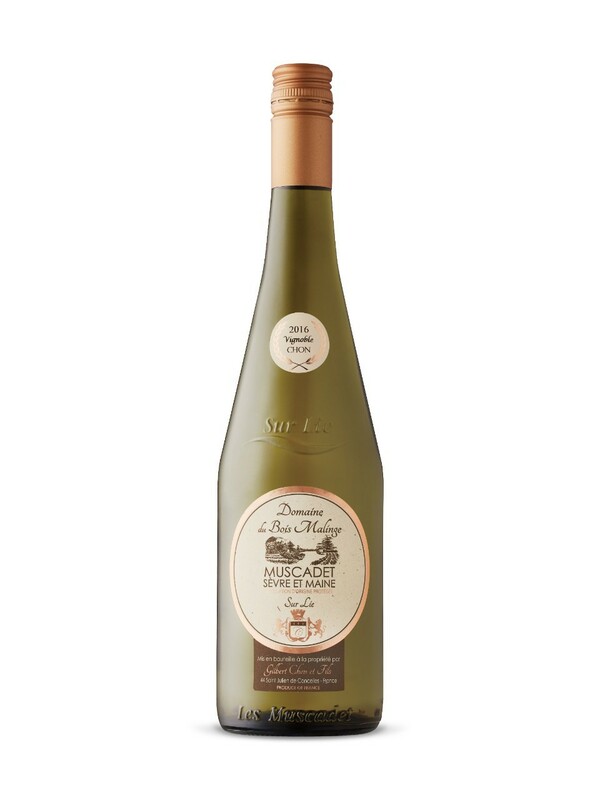 Availability: Domaine du Bois-Malinge Sur Lie Muscadet Sèvre et Maine 2016 is available in the Vintages Section of your local LCBO or for online ordering.